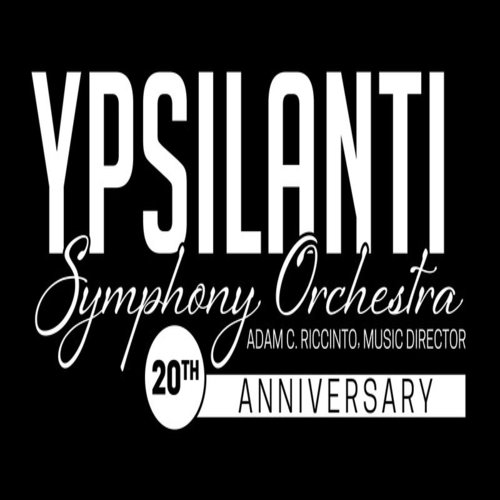 The Ypsilanti Symphony Orchestra welcomes their old friend, string bassist, arranger, composer, and jazz raconteur Paul Keller to the stage of Towsley Auditorium as YSO presents the “Paul Keller Symphony Pops Show.” Featured will be Paul’s jazz friends clarinetist/vocalist Sarah D’Angelo, saxophonist Steve Wood, pianist Duncan McMillan and drummer Zach Adleman. Guest vibraphonist Cary Kocher will jam with the Paul Keller Jazz Band and will also join the YSO percussion section for this event. The concert features music arranged by Paul Keller for symphony orchestra. The 14 selections include some of the material played at Carnegie Hall by Keller with Dave Bennett and the New York Pops (Slipped Disc, Blues In The Night), some pieces from Mr. B’s YSO Pops show (Up A Lazy River, Sweet Georgia Brown), and a few new arrangements written especially for this concert (The Trolley Song, Laverne Walk). Of particular interest is The Real McCoy from Keller’s Ypsilanti Orchestral Jazz Suite, which is inspired by Elijah McCoy, 1870’s African-American Ypsilanti resident, engineer, inventor and holder of 57 U.S. patents for his innovative automatic oiling systems for locomotive engines. Songbird Sarah D’Angelo is Keller’s wing-person and Gal Friday. Keller says, “Sarah is the voice of my music.” Sarah will be singing and playing fun and familiar songs like I Got Rhythm, Memories of You, I’ve Got A Right To Sing The Blues, and Basin Street Blues with her usual high-spirited energy and flair. Steve Wood is considered to be the Dean of Detroit Tenor Saxophonists. Steve, a life-long resident of Detroit, is a product of the original Oakland University Jazz Program under the expert direction of Marvin "Doc” Holliday. Mr. Wood has played with a long list of great entertainers and jazz luminaries. He is a member of the Paul Keller Orchestra and co-leader of his own popular jazz group The Detroit Tenors. Pianist Duncan McMillan has been with Paul Keller for over 10 years as the valued pianist in the Paul Keller Orchestra. Duncan, Sarah and Paul perform every Thursday night at Detroit’s historic London Chop House. Mr. McMillan is not only a great jazz pianist but he is also an excellent arranger and composer. Duncan is celebrating the release of his 2019 debut CD entitled A Room With A View. YSO’s growth has been driven by its partnerships with regional organizations, strengthening community ties and offering diverse musical experiences to its audiences. In addition to the traditional concert season, YSO traditionally works to showcases and collaborate with local performing arts groups.